Step off the beaten path and head to Morjim and Reis Magos Fort. Get outdoors at Mandrem Beach and Vagator Beach. Venture out of the city with trips to Utorda Beach (in Utorda), Milsim Goa (in Nuvem), Chapora Fort (in Chapora), Tomb of St. Francis Xavier (in Panjim), Varca Beach (in Varca), Church of Holy Spirit (in Margao) and Palacio do Deao (in Quepem). It doesn't end there: take in the dramatic scenery at Dudhsagar Falls. To find more things to do, other places to visit, ratings, and more tourist information, you can read our Goa itinerary maker. Paris, France to Goa is an approximately 23-hour flight. Due to the time zone difference, you'll lose 4 hours traveling from Paris to Goa. Wrap up your sightseeing on the 10th (Fri) early enough to travel to Agra. Get a sense of the local culture at Agra Fort and Taj Mahal. Take a break from Agra with a short trip to Keoladeo National Park in Bharatpur, about 1:20 hours away. There's more to do: admire the landmark architecture of Tomb of Itimad-ud-Daulah and don't miss a visit to Jahangir Mahal. To find more things to do, where to stay, other places to visit, and more tourist information, read Agra vacation trip planner. Traveling by flight from Goa to Agra takes 5.5 hours. Alternatively, you can drive; or take a train. In March, daily temperatures in Agra can reach 35°C, while at night they dip to 17°C. Wrap up your sightseeing on the 13th (Mon) to allow time to drive to Jaipur. Family-friendly places like Jantar Mantar - Jaipur and Grass Farm Nursery will thrill your kids. Get a sense of the local culture at Amber Fort and Jaigarh Fort. There's still lots to do: get engrossed in the history at City Palace of Jaipur, look for gifts at Anokhi Clothing Store, don't miss a visit to Hawa Mahal - Palace of Wind, and surround yourself with nature on a nature and wildlife tour. To find ratings, photos, and tourist information, refer to the Jaipur travel itinerary creator. You can drive from Agra to Jaipur in 3.5 hours. Other options are to drive; or take a train. In March, daytime highs in Jaipur are 37°C, while nighttime lows are 20°C. 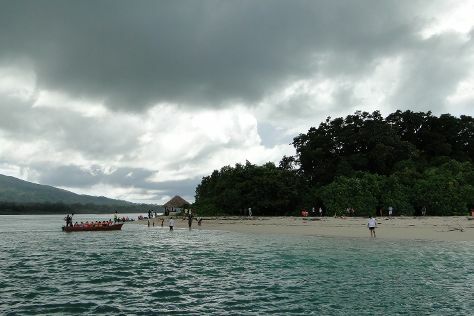 Finish up your sightseeing early on the 16th (Thu) so you can travel to Port Blair. Family-friendly places like Chidiya Tapu and Wandoor Beach will thrill your kids. Do some cultural sightseeing at Samudrika Marine Museum and Chatham Saw Mill. The adventure continues: step off the mainland to explore Jolly Buoy Island, kick back and relax at Ferar Beach, don't miss a visit to Murugan Temple, and examine the collection at Anthropological Museum. To see traveler tips, where to stay, photos, and tourist information, go to the Port Blair trip planner. You can fly from Jaipur to Port Blair in 6.5 hours. Finish your sightseeing early on the 21st (Tue) so you can travel to Havelock Island. 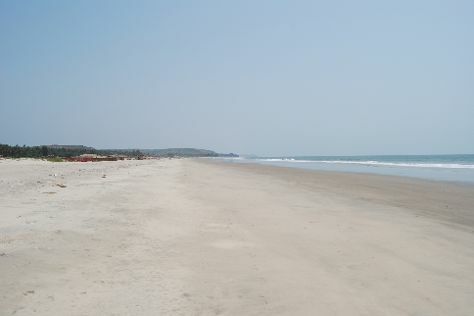 Bring the kids along to Radhanagar Beach and Kaala Pathar Beach. Step off the beaten path and head to Scuba & Snorkeling and Elephant Beach. And it doesn't end there: head off the coast to Neil Island, add some adventure to your tour with a kayaking and canoeing tour, and cast your line with a fishing tour. For other places to visit, ratings, where to stay, and other tourist information, refer to the Havelock Island vacation builder. Traveling by car from Port Blair to Havelock Island takes 3.5 hours. Finish your sightseeing early on the 24th (Fri) so you can travel back home.